Absolutely Gorgeous and Fantastically Attractive DRAGON Bracelet. It is made from MULTICOLOR JADE Gemstone. 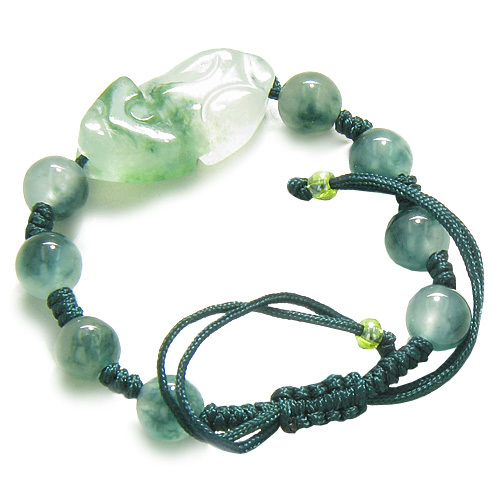 It holds CARVED GEMSTONE DRAGON Charm and has JADE Round Beads tight in to the Bracelet Cord. It comes on VERY Popular Adjustable cord, and will fit most size wrists.